Moving your money offshore is a highly effective and surprisingly affordable strategy for you and your wealth. Until now, though, a huge barrier has stood between you and the world's best asset protection and investment opportunities-a lack of quality information. Offshore Investments That Safeguard Your Cash is the long-awaited, how-to book for everyone who has ever considered moving even a portion of his or her portfolio overseas. 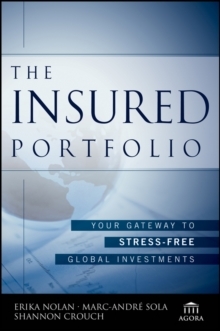 Written by the executive director and associate publisher of the Sovereign Society, a renowned offshore asset-protection and international finance organization, this thorough reference provides a clear road map to the offshore world, complete with the knowledge and tools you need to benefit from the same financial opportunities that the super wealthy have enjoyed for decades. 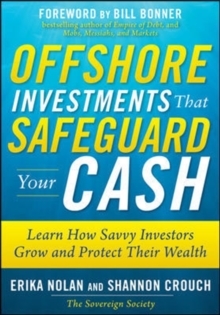 Offshore Investments That Safeguard Your Cash explains how to make informed decisions about your financial options, secure everything you own against wealth predators, and protect your investment portfolio from the ravages of bear markets and superficial financial advice. No other book offers a one-stop resource with such in-depth coverage on the critical issues you need to know, including investing, taxes, estate planning, retirement, legal entities, and the world's best foreign havens. Offshore Investments That Safeguard Your Cash walks you through the process of protecting and growing your wealth, includingOpening the perfect offshore account Safeguarding all your assets in one simple structure Eliminating threats to your wealthLegally slashing your tax billsSafely and effectively growing your net worth Locking up your retirement portfolio in the world's best performing, best protected, and most profitable marketsWhether you're facing a looming threat to your business, seeking to maximize the savings in your retirement plan, trying to defer taxes without the IRS knocking down your door, or looking to diversify into safer, more strategic investments with higher returns--Offshore Investments That Safeguard Your Cash has the answers you're looking for.